There are many advantages to training your dog to "go to your mat," "go to your place," or "go to bed." Training a dog to go to his mat basically teaches your dog to go to a specific spot and stay there until you have released him. For example, you can train your dog to go to his mat when you are eating a meal or when you have guests over and you want your dog to settle down for a bit. It's also useful for when you need your dog to stay calmly in one spot when you are vacuuming or mopping the floor. If your dog is often underfoot when you prepare his meal, "go to your mat" can help him learn calmer behaviors and prevent you from tripping over him. Another great advantage is that you can take your mat with you in places and have your dog lie down on it when needed. This provides a sense of familiarity in new places which can help dogs adjust accordingly. If you travel a lot, your dog will appreciate sleeping on his familiar mat. Some dog owners have found it helpful to bring their mat along with them when they take their dogs to the vet. 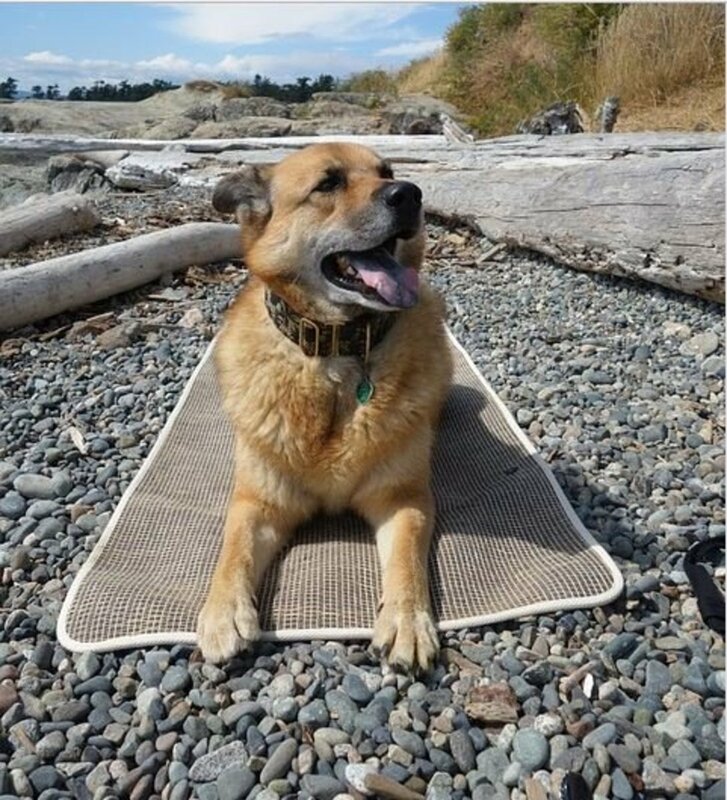 The mat is associated with relaxation, so it can help a bit in taking the edge off during dreaded vet visits. 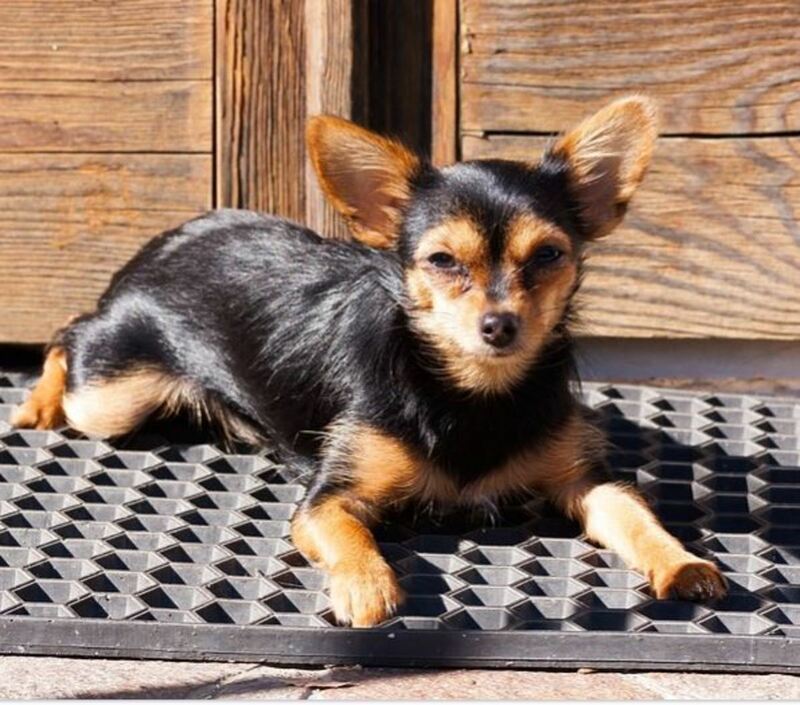 For small dogs, the mat can be placed on the veterinary exam table. Many dogs are uncomfortable being placed on the veterinary examination table because it is cold, slippery, and dogs do not like areas where their footing doesn't feel secure. One of my board and training guests comfortably lying on a mat. A great technique for training your dog to go to his mat is shaping. 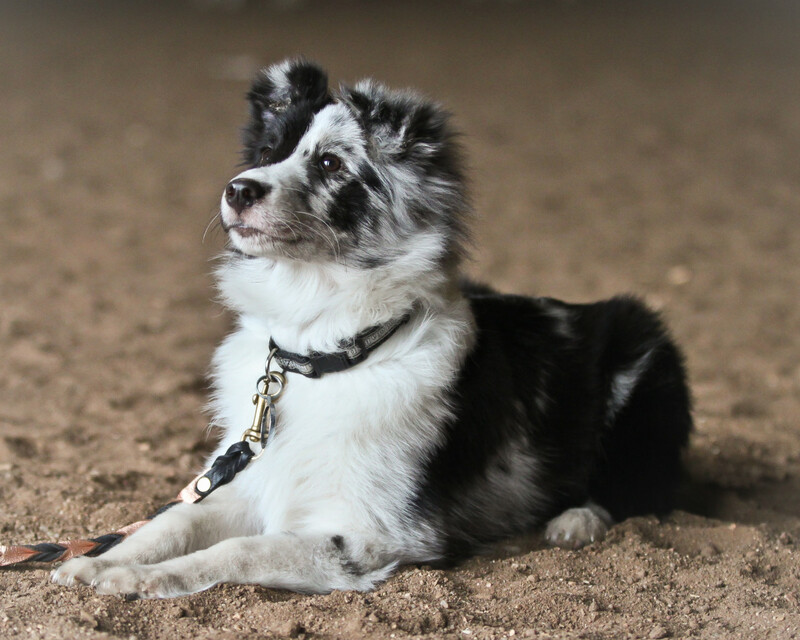 If you have never used shaping to train a dog before, don't let this term intimidate you. Shaping simply means using successive approximations of the final behavior to train your dog. 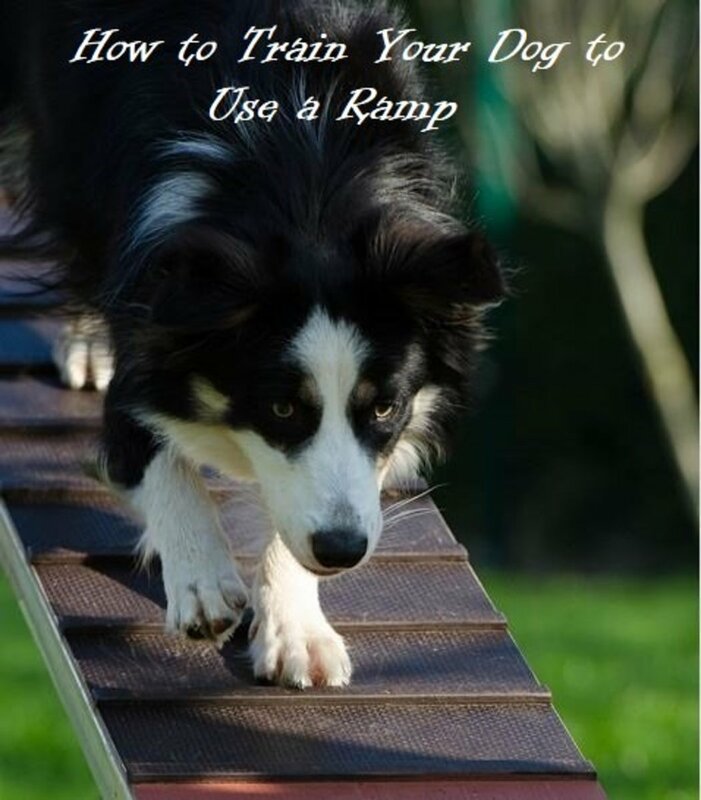 It entails a step-by-step approach that will make it easy for your dog to achieve success. Many dogs love to play the "shaping game" as they need to "guess" what behavior unlocks the reward. An experienced clicker-trained dog will learn to get quite creative and may experiment offering behaviors just to get you to click. In the video below, you will see my Rottweiler Kaiser "experiment" with several behaviors at times. When training a dog through shaping, using a clicker can turn very helpful. Many people frown upon using a clicker, but after attending a clicker training course, I got hooked on it because it allows cutting-edge precision in training. What's the Purpose of the Clicker in Training? 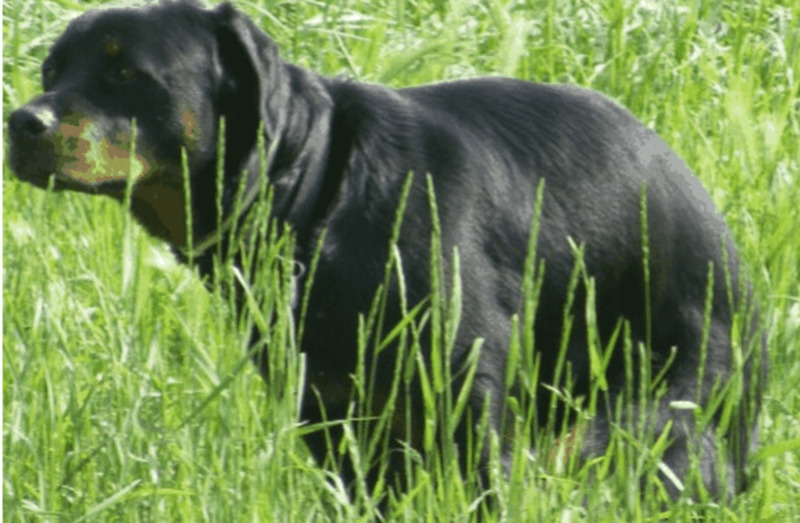 It's clicking sound is used to mark desired behaviors as they unfold and informs your dog that he has performed something desirable that's worthy of reinforcement. If you do not have a clicker, you can replace the clicking sound with a verbal marker such as "yes." 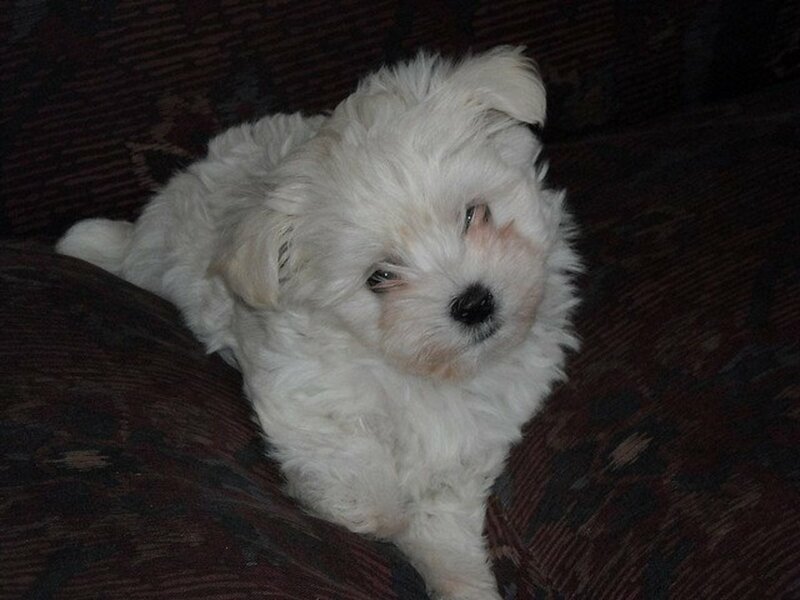 Your "yes," will inform your dog exactly which behavior is the one that will earn him a reward. While a clicker is not necessary to train your dog to go to his mat, it's extra useful. According to a study, it was found that dogs who were clicker trained took only 36 minutes to perform a target behavior versus 59 minutes when using a verbal marker. Quite impressive? Training a dog to go to his mat is easier for dogs who have learned how to stay or who have learned built-in duration in their downs until they are released. In order to train your dog to go to his mat, you will need to start training in an area where there are little to no distractions. This way, your dog will be more able to concentrate versus tending his attention to other stimuli. 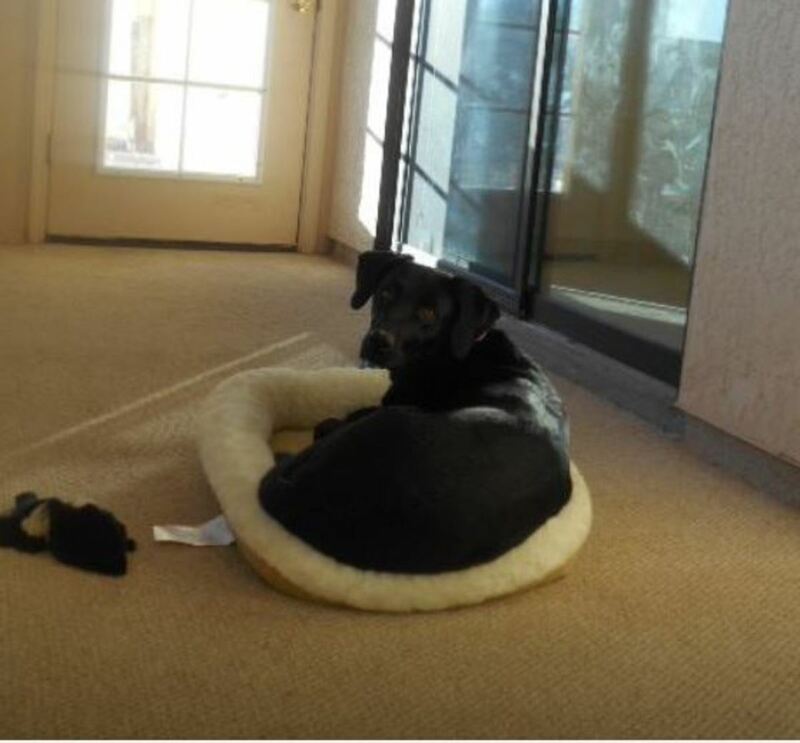 A low distraction area also provides the opportunity of allowing the mat to become a very salient piece of interest that will draw your dog to it over and over. When it comes to treats, use small bite-size treats initially. These will help keep the process smooth since they are quick to eat and will help maintain a dynamic pace. If your dog is food motivated enough and likes his food, you can even use kibble. Reserve the crunchy, longer-lasting cookies for when your dog starts actually lying down on the mat. Based on your dog's experience, you may find yourself lingering a bit longer in certain steps or perhaps even skimming through some steps fast if your dog is experienced in being trained through shaping. Step 1: Place the mat in the middle of the room or an open space area and start clicking and rewarding any signs of interest towards the mat in incremental steps. This means that you will initially be clicking and rewarding for just looking at the mat, then walking towards the mat, then for sniffing the mat. If your dog touches the mat with his paw, click and reward this too. Toss the treats off the mat so that your dog will need to move a bit away from the mat. This helps in getting your dog to return to his mat for more interaction and more rewards. Step 2: Start raising criteria. Click and reward only for placing paws on the mat. So click and reward for placing one paw on the mat, then two, then possibly standing with all four paws on the mat. Toss the treats off the mat once again so that your dog will be enticed to return to the mat over and over. Step 3: Once your dog understands that interacting with the mat is rewarding, start clicking and rewarding for having all four paws on the mat, such as standing or sitting on the mat. Toss the treats off the mat once again so that your dog will get off and then will feel enticed to return to the mat over and over. Do this several times. Step 4: At some point, when your dog is standing or sitting on the mat and waiting for you to click and reward, start delaying your click and reward, simply wait it out a bit. Chances are, your dog may get tired a bit and will lie down on the mat. When he does, be ready to click and reward with the longer-lasting cookie. 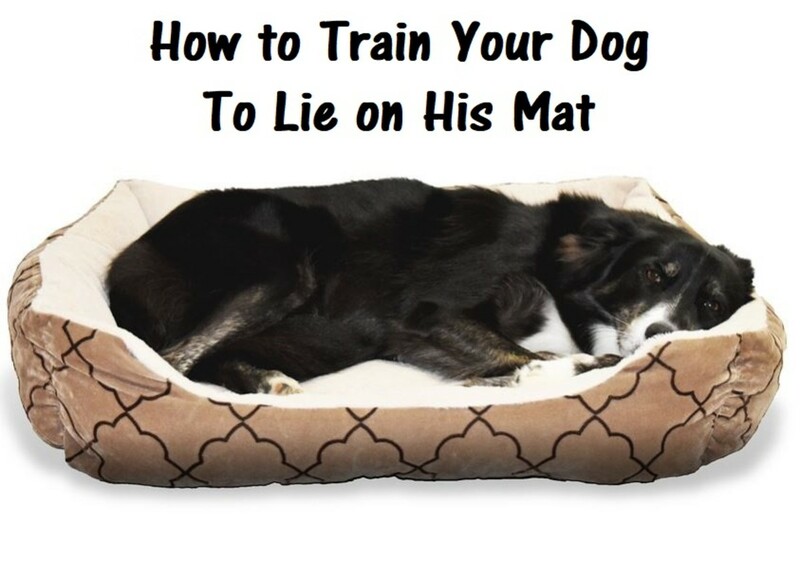 This will help teach your dog that lying down is extra rewarding. Alternatively, in place of the cookie, you can provide a jackpot of treats (several treats in a row). Step 5: Once your dog is done with the cookie, you can introduce a release cue. Say "done" or any other word you would like to use to inform your dog that the exercise is over and he is free to move off the mat again. Many dog owners choose the word "OK" but this word is often used quite commonly in conversations, so it may be counterproductive if you tend to say that a lot. If needed, you can use a hand prompt to encourage your dog off the mat. If your dog doesn't understand, you can toss a treat initially to help him understand that your release cue means he is free to move off the mat. Step 6: Add the verbal cue once your dog is lying down more and more reliably. As your dog is walking towards the mat, start saying "go to your place" or "go to your mat" or simply "place" or "mat." You can initially add some visual prompts such as tapping the mat or pointing at the mat. When your dog lies down, add a bit of duration before releasing him. Step 7: Start gradually adding more duration. Tell your dog to "go to your place" while you are eating a small snack (a meal may be too long at this point). To help your dog succeed, you can provide him with something to keep him occupied on the mat such as chew toy or stuffed Kong. When building duration, it helps to mix in shorter stays on the mat just so that your dog doesn't feel the incremental increase in difficulty which can be discouraging to some dogs. Step 8: Start gradually adding distance and then distractions. Walk at a distance while your dog is on his mat, go to another room etc. Also, start asking him to lie down on the mat with you giving the verbal cue at a distance. Start close at first and then farther away. Bring your mat with you in different places such as at a friend's homes when visiting, at training classes (how impressive to have your dog settle while the instructor talks! ), vet appointments, etc..
You can also practice having your dog lie down on the mat when there are guests coming over. If you practice this often enough, you can even make the sound of the doorbell or knocking become a cue for the lying on the mat behavior. To do this, simply practice with some helpers playing the role of guests. As soon as they ring the doorbell, tell your dog "go to your place" as you point towards the mat. Repeat several sessions of getting your "guests" to ring the bell, your dog lies on his mat and stays there are as you open the door and let your guests in. After some time, your dog may learn to associate the sound of the doorbell or the door knocking with going to his place. Make sure you make going to his place extra rewarding especially with those dogs who are social butterflies or dogs who are hypervigilant around checking who enters/exits the home. When training your dog to lie on a mat, you are likely to incur some challenges. Lying down on a mat is not simply an operant exercise, it's teaching your dog to learn how to settle and stay calm. The most common challenges are encountered with dogs who can't stay on the mat for too long. With young puppies or dogs who are very hyper and unable to stay still for long, this can take some time to master. Be patient. It's important to progress at your dog's pace and watch for signs of frustration. If your dog yawns, starts sneezing, or has a sudden itchy fit during your training, take this as a sign that you may be asking too much and your dog needs a break. These out of context behaviors are known as displacement behaviors. Pay attention to them and adjust your training plan accordingly. If you find that your dog gets off the mat frequently before being released, consider re-evaluating your training plan. 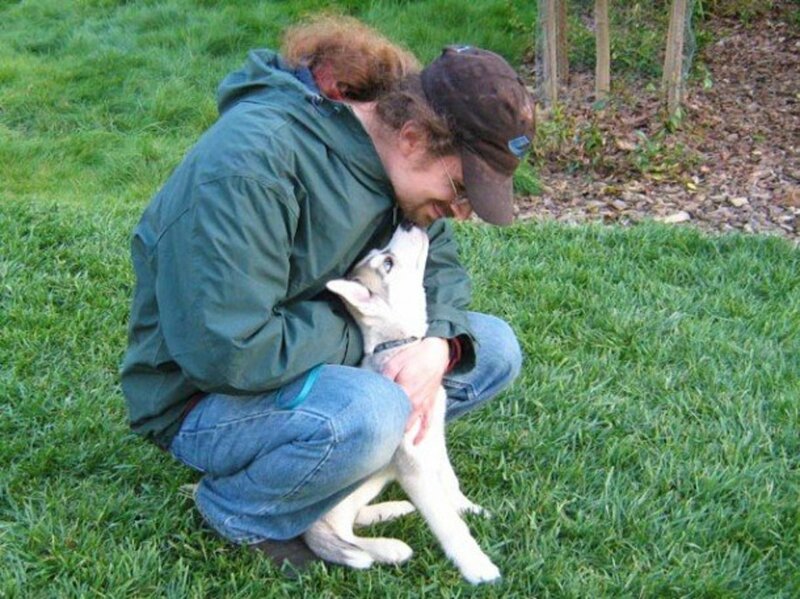 Most likely, you are progressing too fast at a level of proficiency your dog isn't ready for yet. Take a step back and practice more on the challenge splitting it perhaps into easier to assimilate steps. If your dog was never clicker trained before, you may notice that your dog may not be to "open" in trying behaviors. 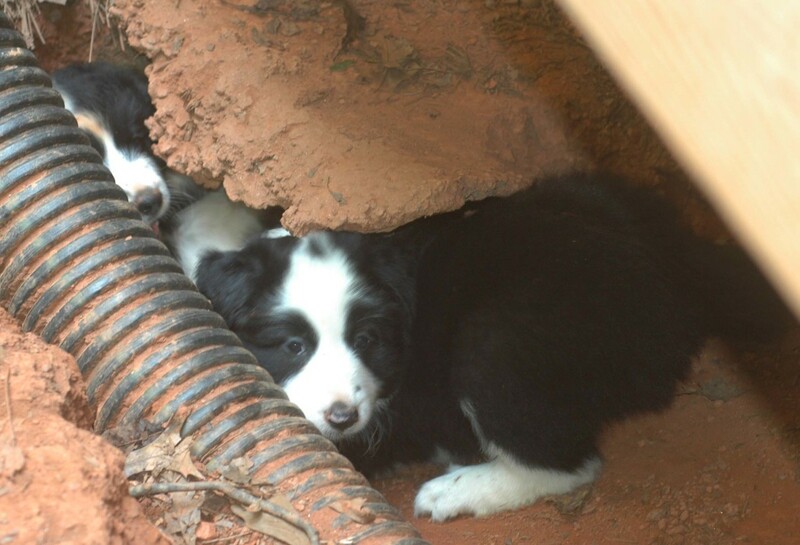 It may take a bit longer for these dogs to experiment behaviors and they may get stuck. Be patient. 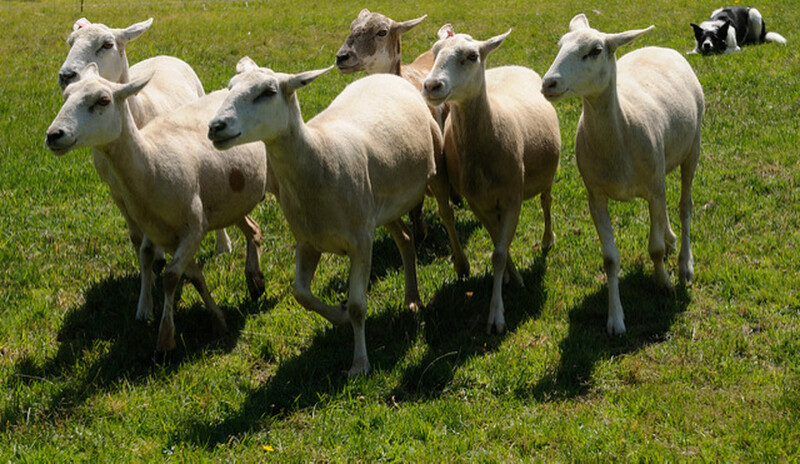 You may need to use visual prompts like tapping on the mat pointing or temporary lures (like a piece of food placed on the mat) initially to help these folks out. Suhail, thanks for stopping by. Having K2 lie down on a mat after hiking to apply the balm on his paws sounds like a great idea! Another great use for teaching a dog to lie down on a mat! Patchofearth,I just published one on car chasing in dogs. I actually had an old handout made for my clients a while back and just had to polish it up a bit and rewrite it. Hope it helps! Your method is much more thorough and should work with most dogs. I wish it were available to me earlier. Wow! This is really thorough. A lot of really good information. You don't happen to have any hubs about how to get my dog to stop lunging at every car he sees when we go for a walk, do you? At our house, it's usually go to your couch. :) Actually, that's just during the day and he'll be quiet there while I work for a few hours at a stretch. But training for this can be challenging, especially when they're puppies.Thanks for sharing your great tips, as always! Happy Weekend!